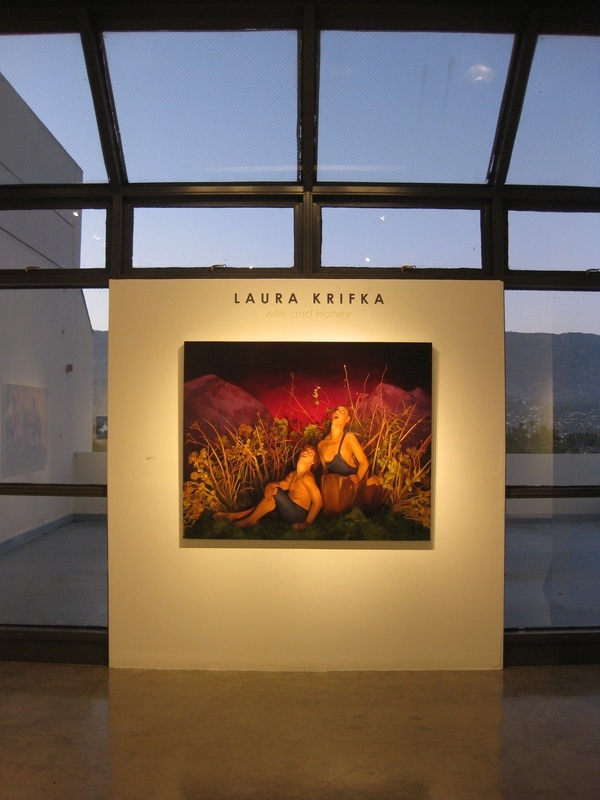 Santa Barbara, CA - Atkinson Gallery is pleased to open the fall exhibition schedule with the beguiling work of Laura Krifka. 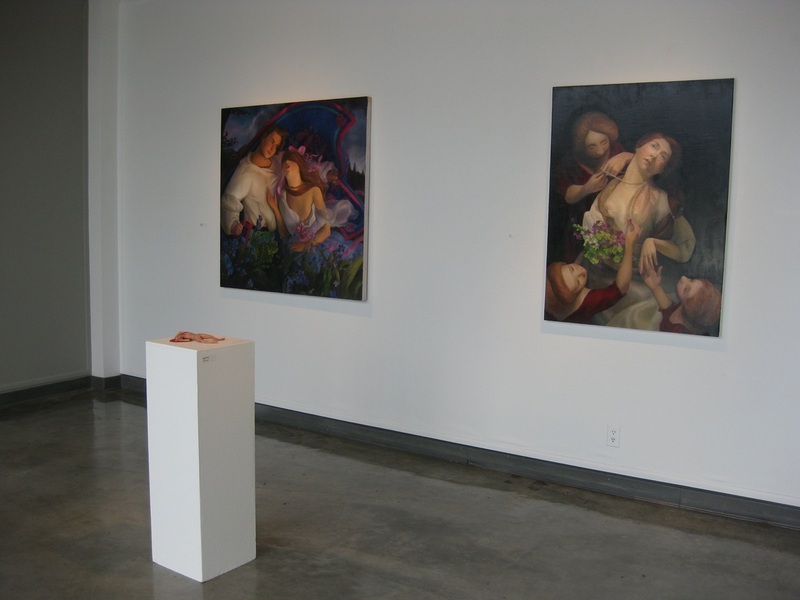 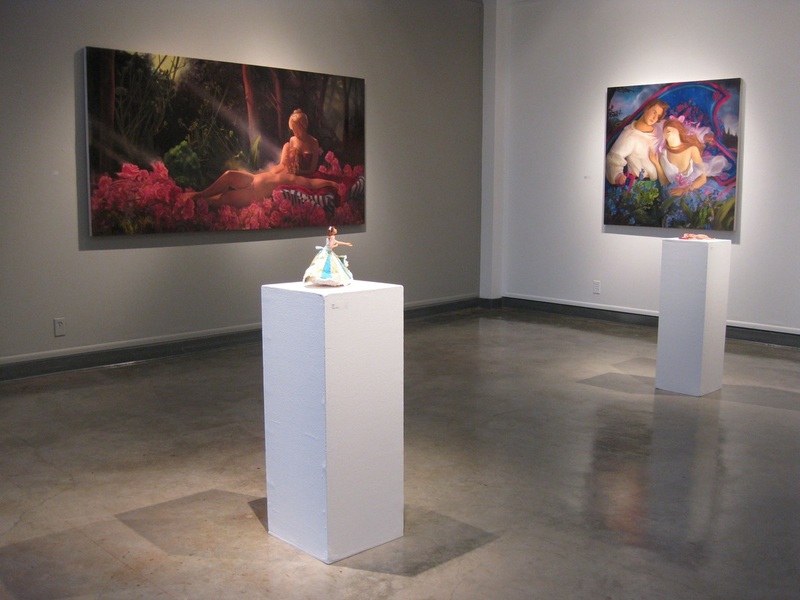 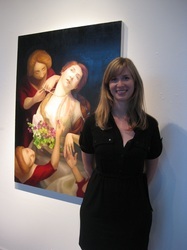 Known primarily as a painter, she also exhibits sculpture and video. The sculptures grew out of her paintings and videos grew out of her sculpture. 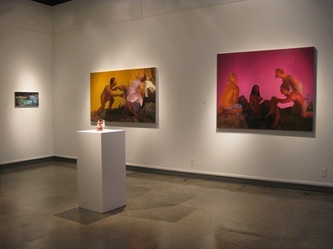 They now all inform one another. 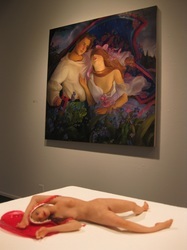 Visually arresting, her art commingles beauty, myth, power, identity, seduction and terror. 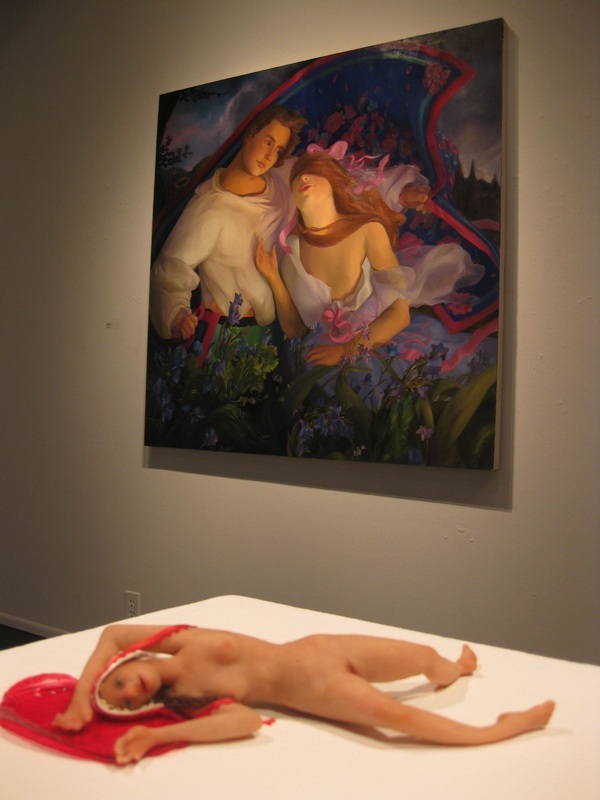 These works’ apparent innocence is laced with sensual tension. Krifka writes incisively about her work, "My practice is a mutation of historical propaganda, religious morality and fetishes of Americana magnified to form a disturbing world that reflects the oddity of our own. 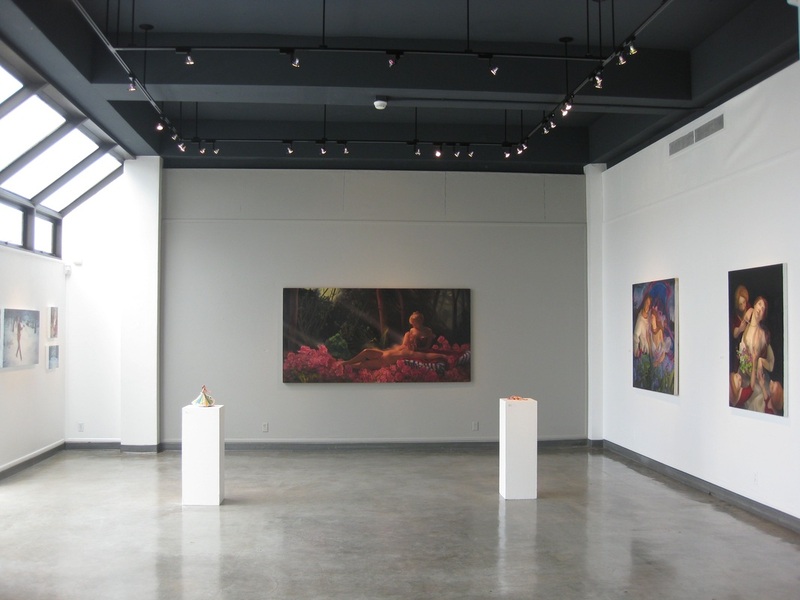 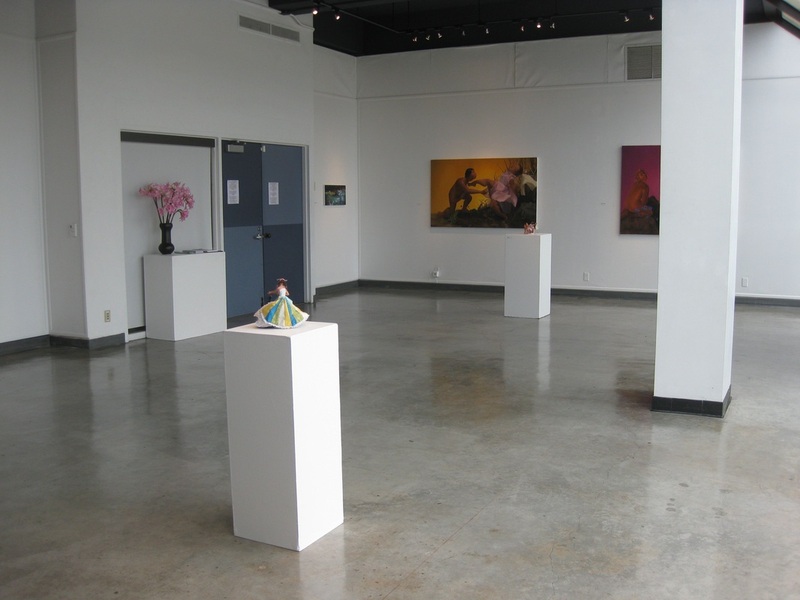 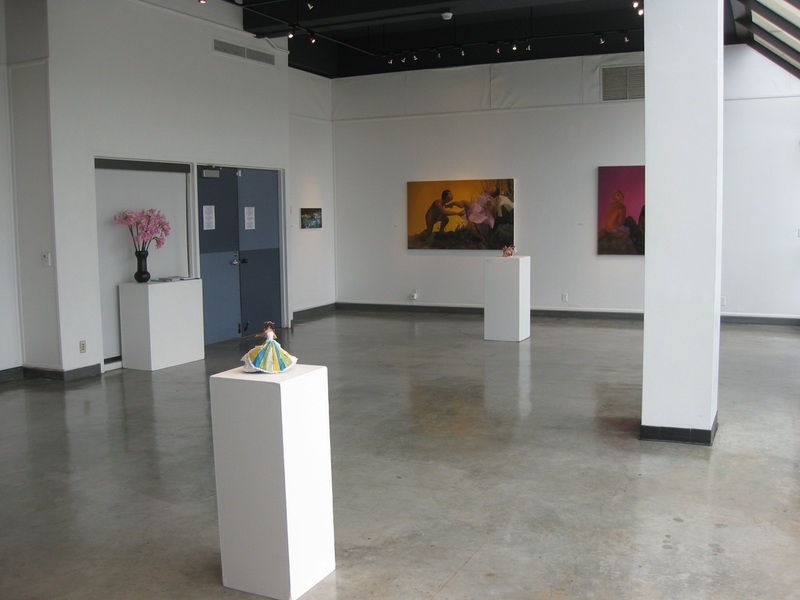 I create this slippery space using multiple types of media, with an emphasis on painting and sculpture. 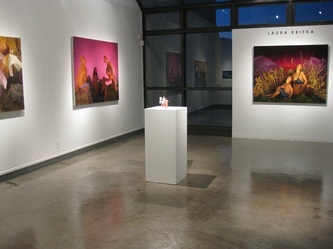 Each piece struggles to find its own precarious sense of balance, playing out psychological fantasies of power and identity. In my paintings I use visual cues from film and art history to create landscapes that strain under the pressure of their own absurdity, constantly battling the forces of their own sinister nature. 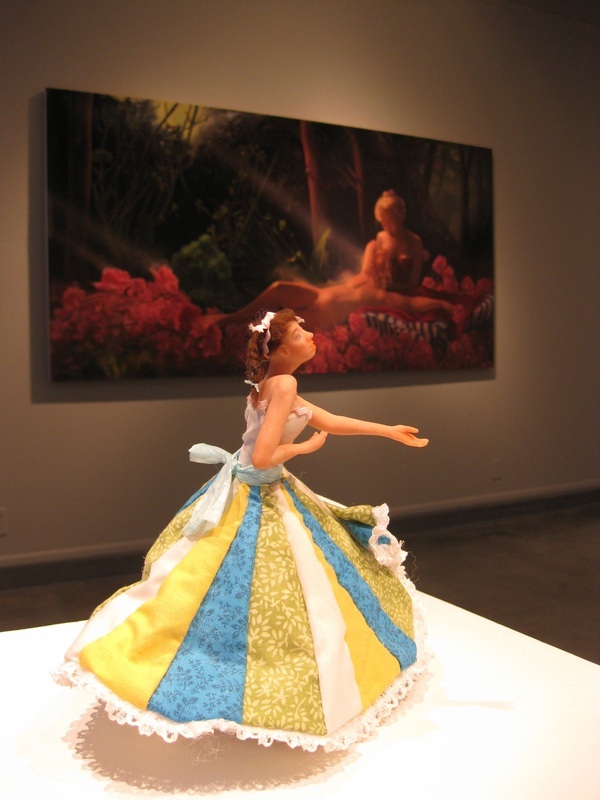 Likewise, my small scale sculptures are an investigation into the after shocks of manifest destiny and the idealization of the American dream, viewed through the lens of 1950’s folk musicals, collectible figurines, and the childhood dolls I once played with. 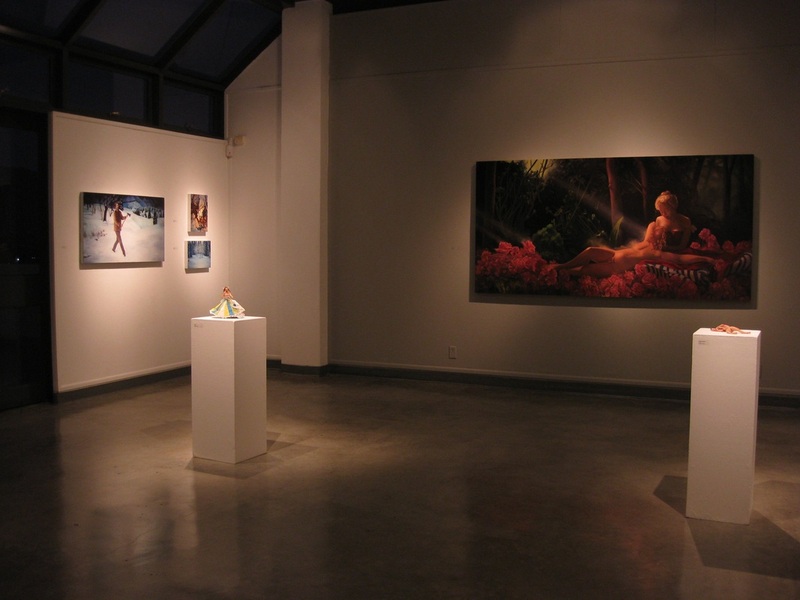 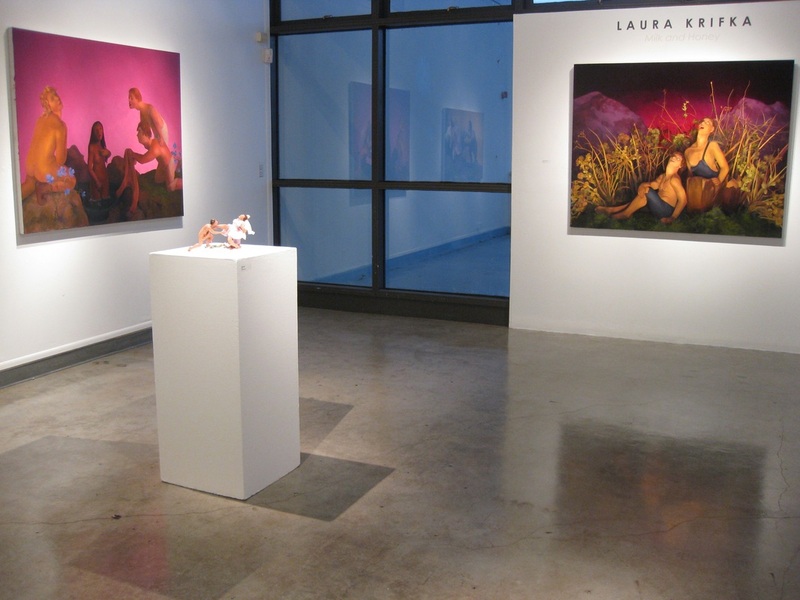 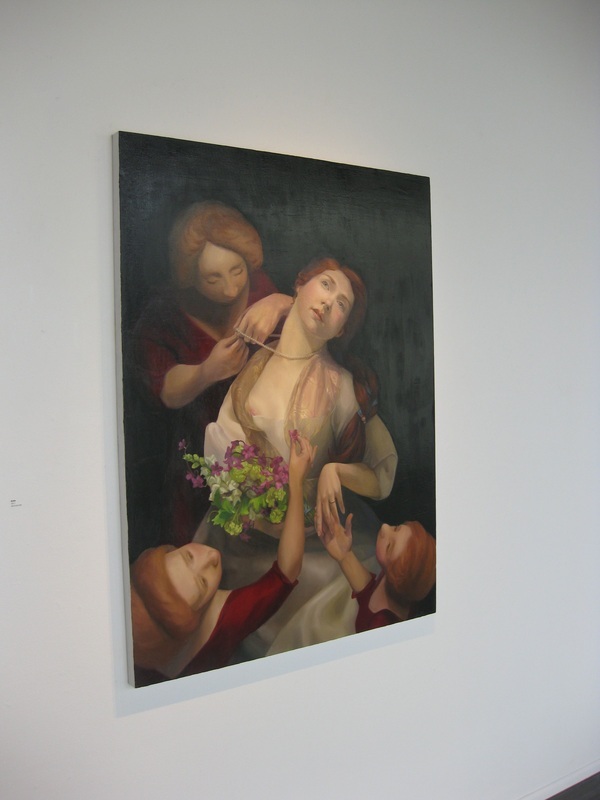 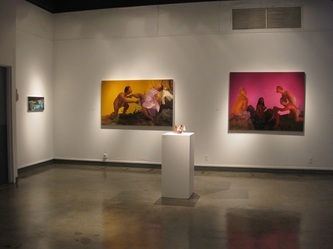 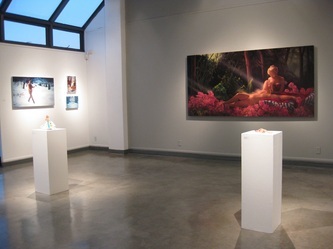 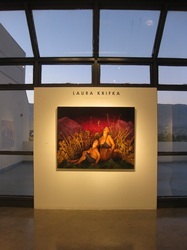 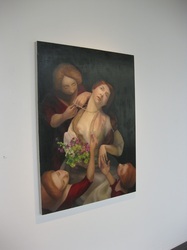 Laura Krifka is an award winning 2010 MFA graduate of UC Santa Barbara. 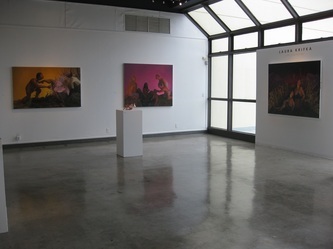 Her work has already been shown in Chicago at the Zrobili Gallery and at Beacon Arts, Inglewood, in an exhibition curated by noted Los Angeles writer/curator, David Pagel. 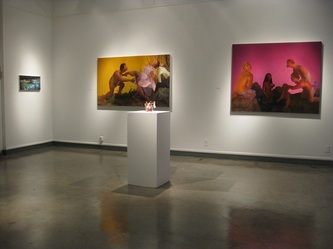 Krifka has an upcoming solo exhibition at CB1Gallery, Los Angeles, February 2012.